They say Iceland is green while Greenland is icy. Still, it’s icy and cold enough in Iceland. Heck, there’s Christmas shops in Reykjavik open in August. 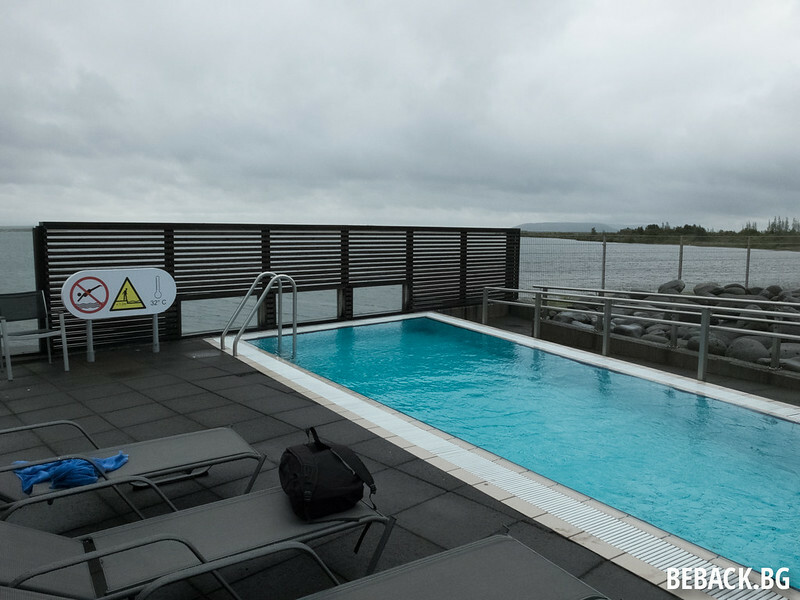 One of the best options to relax after a tiring day of hiking or other activities in a cold day is a warm water pool. 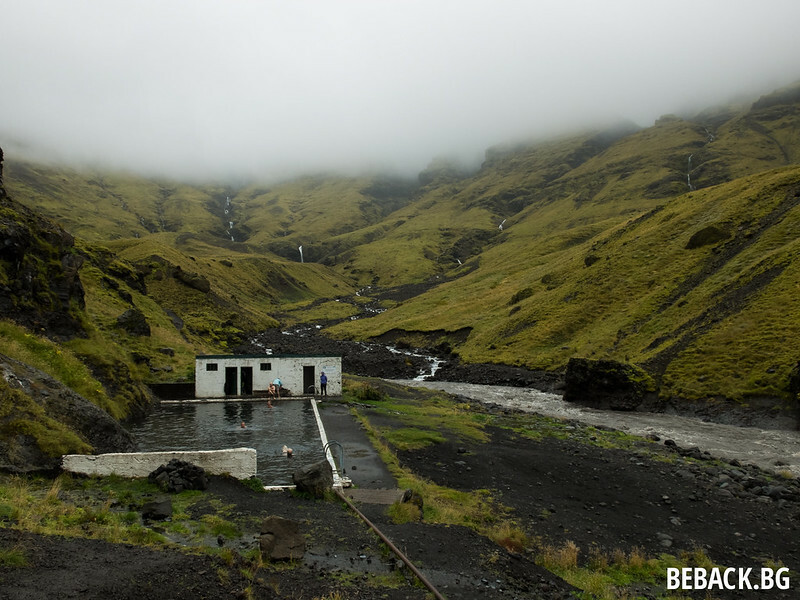 Three days in Iceland = three pools. These are not the touristy and pricy (though, obviously very pleasant) Blue Lagoon or Fontana (on the picture below). These places are a bit more hidden, yet not far from the ring road or your Lonely Planet. Photos are not that great because we had other priorities at that time. This is a steaming river. We had to walk around 30 minutes uphill to get there. Once we arrived it started pouring. With nothing else to do, we hopped in, leaving our clothes to soak for around 50 minutes, while we were also soaking. Rain did not bother to stop so the 30 minutes back were also quite soaking and we had to find a camping with a tumble dryer and a shoe dryer for the night. Keep in mind that we slept in our car. All’s well that ends well. I had seen photos of this pool and it was one of the top places on my list. I do have a soft spot for hot water pools. After all, my parents live in a village in Bulgaria famous for its hot water springs (check out Banya near Bansko). It was exactly as I imagined it. Abandoned pool from 1923, the changing rooms still survived so when it started raining, it did not matter. The place is just 5 min off the main road by car plus 15 minutes walking. There’s no sign on the turn so this means less tourists. Which is a rare view around the so-called Golden Circle. 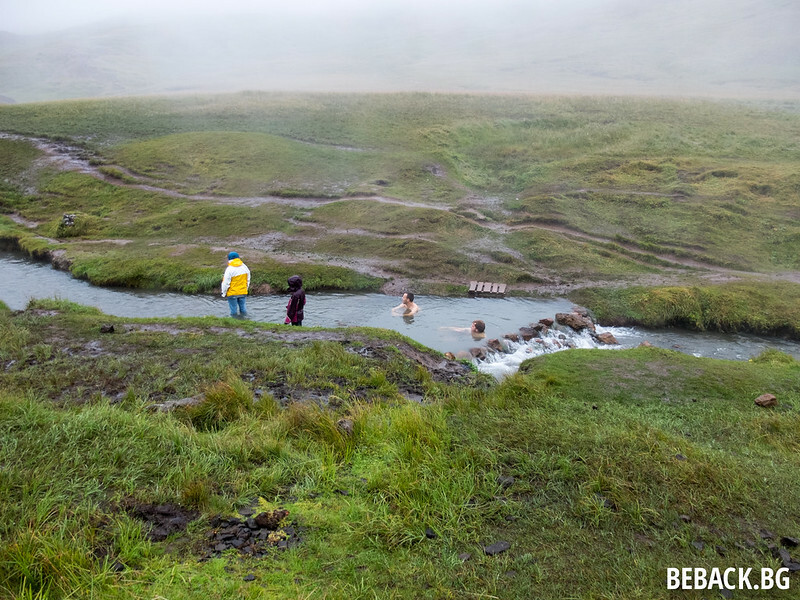 Up in the Vatnajökull National Park a nice ranger told us that there’s only one hot pool in the east. A farmer happened to find warm water in his property and made five small jacuzzis with it. Left a box with a sign for 500kr price. 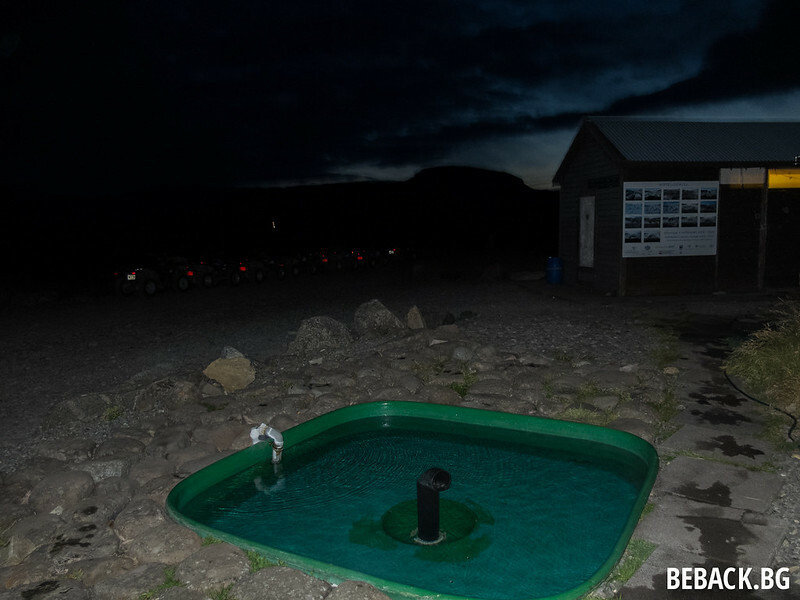 We did not use cash at all in Iceland as I told you in a previous article so we had to pay by card to a nice guy at the Lambhús camping and he gave us cash 🙂 It was totally worth it after a day of hiking. This entry was posted in Europe, Iceland. Bookmark the permalink.